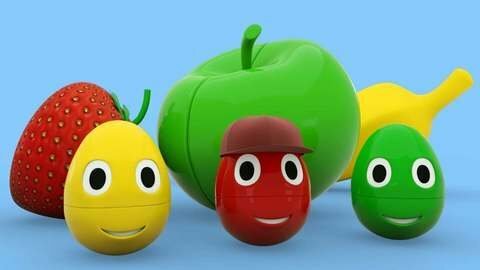 Watch this fun, online kids’ 3D cartoon and learn colors for free! Watch this free, educational online 3D cartoon that teach kids about colors. See fun surprise egg jump from one drum into the next and change color. Which six colors do you see? Sing along to the children’s nursery rhyme, ‘This old Man’ and visit SeeZisKids.com for more episodes that help preschoolers learn colors while having fun.